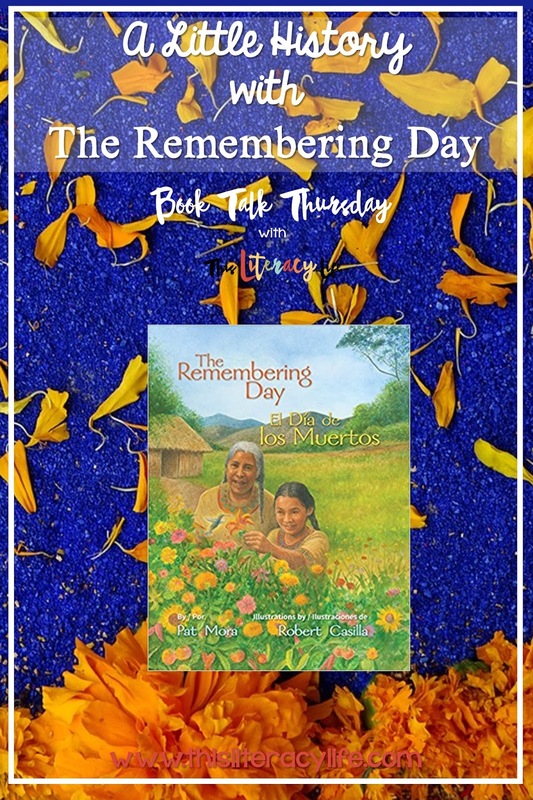 Set in long ago Mexico, Pat Mora helps young readers understand the origins of The Remembering Day. Young Bella spends time with her grandmother, Mama Alma, as they prepare to remember those who have died. They remember her own parents, even though Bella's grandmother is not doing well. As her grandmother fades, Bella knows that all is well and will be as the community remembers those they have lost. 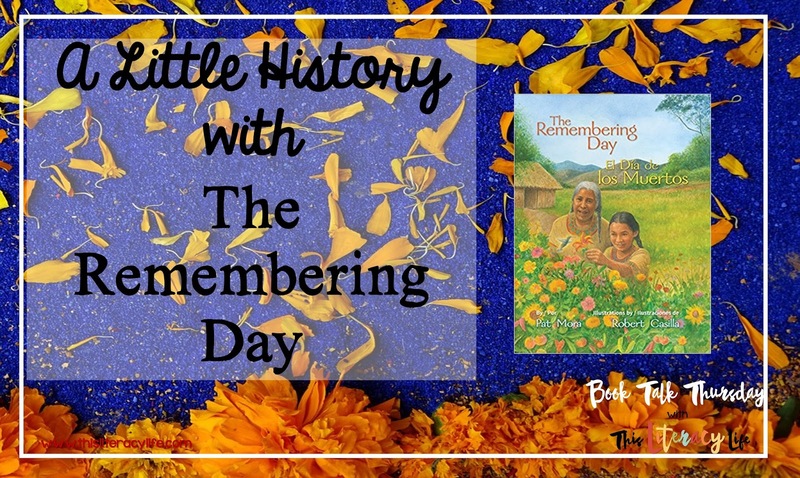 Though this is not the true story of The Remembering Day, Mora tells how it may have begun in a small village in old Mexico. Lately this has become quite a popular holiday! This book is a perfect way to show students the real meaning of the holiday and help them understand what it really means. They can compare it to the way we have seen the holiday being celebrated. The quietness of Pat Mora's story reminds us of what it really means to those who celebrate. Another element that is perfect for teaching is the Spanish translation. For students who have a background in Spanish, they will enjoy hearing it in a language they know. Older students who are taking Spanish class will enjoy reading (or hearing) the book in the language they are learning. The Remembering Day/El dia de los muertos can serve many purposes in your classroom as a book they will enjoy and remember!